“Society is more open than ever before for completely new ideas” - Atlantik-Brücke e.V. Mr. Wenger, you are originally from Germany, went to the US to study computer science, founded a company and now you are an investor. Is it still necessary today to cross the Atlantic or can someone follow the same path in Germany as well? Albert Wenger: I think one of the advantages of the internet is that you can build great companies all over the world. 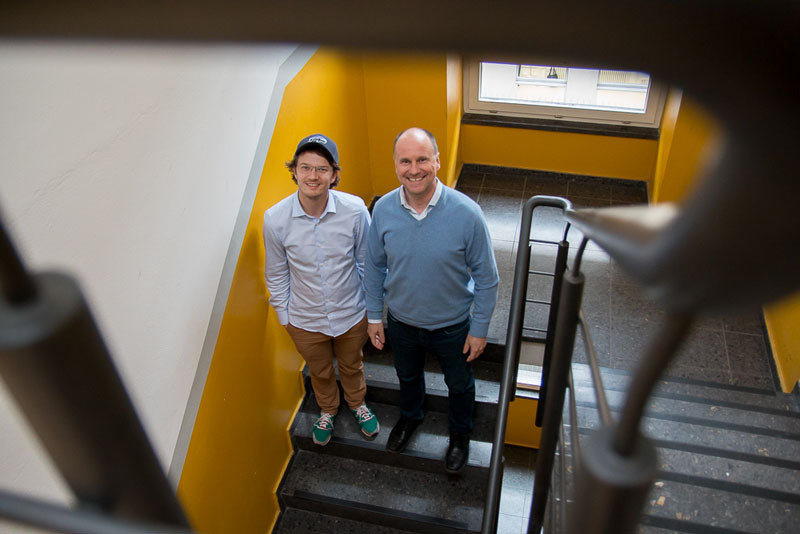 New businesses are started every day in Germany – such as Clue – as well as in China, Japan, or Korea. The notion that you have to be in the US to do so is an outdated one. In some respects being in the US may even be a disadvantage, especially when you consider how expensive San Francisco/Silicon Valley has become. Mr. Raffauf, what is your view as a German startup founder in Germany? Hans Raffauf: There were many moments when we thought about moving our business to the States. At the beginning, we also considered founding in the US, but ended up deciding against it because we wanted to raise our children here. As Albert already said: although there is less access to capital here, you also need less because the cost of living is lower. In terms of talent, I do still see a considerable difference between Germany and the large clusters in the US – Silicon Valley, of course, but also increasingly New York City. At the same time, we are seeing more and more Americans who move to Europe, especially with the current political situation. We currently have seven Americans on our team, most of whom moved to Germany for us. A critical mass has formed here, which is growing because it has created a certain magnetic pull. Mr. Wenger, when you started your studies, could you have dreamed of today’s significant technological advances with far-reaching societal implications or did you imagine we would see even more radical changes? Albert Wenger: I received my first computer around thirty-five years ago – an Apple 2. Already back then I was fascinated by topics such as artificial intelligence. So it was naturally quite disappointing that progress in this area was slow for years. But we’re talking about exponential curves. The developments over the last ten, especially the last five years, have been more dramatic than I ever would have imagined. Entrepreneurs and investors now see that the future will be radically different, but unfortunately most politicians have yet to realize this. Saving American jobs was one of the central elements of Donald Trump’s election campaign. He talked a lot about jobs that had moved overseas. Yet many experts argue that a far greater number of jobs are lost due to digitalization and automation. What is your assessment? Albert Wenger: I think that technology had a dual effect: some jobs were replaced as a direct result of technological progress, but technological change also enabled the relocation of activities. “Digital offshoring” only become possible when data could easily be sent to, say, Bangalore. These two trends operated in tandem. The promise to bring back jobs using the methods Donald Trump is proposing will lead us back to the past. In the US, the solar industry already creates far more jobs than the coal industry, yet Trump still insists that we have to send people back into the mines. This is totally backward-looking and fundamentally underestimates the effect that the extreme acceleration of the digital transformation will have on the labor market. You have frequently commented on how societies could look where more and more work is done by machines and you are a proponent of an unconditional basic income. Do you think this is a realistic model, especially in the US? Albert Wenger: The basic income movement today is present in Europe, Asia, as well as in the US. If there is one positive thing we can say about Trump’s victory, it is that business as usual will no longer suffice. So far, our approach has been to just tweak the interest rate a little bit or pass yet another job creation program, expecting that this would solve all of our problems. The election showed that people no longer buy into this. They did not believe that Hillary Clinton’s program of ‘more of the same’ with some fine-tuning would be enough. In my view, this has created space for more radical ideas. One of these more radical ideas is the basic income. I believe that the technological advances that we see today – be they self-driving trucks or computer programs that replace lawyers or doctors – show that automation is no longer limited to blue-collar labor. As a result, there is a growing interest in alternatives to the current system and Trump’s policy proposals, and society is more open than ever before to talk about completely new ideas. Bill Gates recently proposed taxing robots to finance such as model. What do you think of this suggestion? Albert Wenger: He proposed that because the alternative would be to tax people like Bill Gates. I think taxing technologies slows the process of making these technologies widely usable. If we had taxed tractors, then more people would have had to work in the agricultural sector longer. Similarly, a tax on robots would delay the use of robots in fields where we would all like to see them be used. Then there is the question: What exactly counts as a robot? Must it have arms? What about an algorithm or computer program that replaces human labor? Should Microsoft Word be taxed? This is a dumb idea from an otherwise very smart man. In my opinion we should rather tax things that we know are bad for the world, like carbon dioxide emissions. On top of that, I think we need some form of tax on money or wealth because digitalization has turned normal distributions into so-called “power laws”. In other words, today’s winners get much more than in the past, we see ever more extreme outliers and also more monopolies. Here money is piling up that can help finance the basic income.